Shake Shack (NYSE: SHAK), the American fast casual restaurant chain based in New York City, started out as a hot dog cart inside Madison Square Park in 2001. It became so popular, it moved to a permanent stand in 2004. Today, its menu has expanded from New York-style hotdogs to include hamburgers, fries and its famous milkshakes. Due to the popularity of this iconic fast casual restaurant, Shake Shack needed a way to manage long lines. The Madison Square park location (above) was the first to incorporate JTECH pagers in 2007. Guests can find a seat at nearby tables and get alerted when their order is ready. The staff at Shake Shack, love using our GuestCall IQ paging system to increase productivity at the busy restaurant chain. Servers and staff are able to streamline the wait while improving guest experience. Shake Shack uses both pagers and texting to meet the demands of their business. While pagers are vital to their operation for speed and anonymity, some guest prefer to be alerted by text on their phone. One key component for Shake Shack's smooth operations is the iStation Master Controller. Shake Shack has been using the GuestCall® IQ pager since 2015. JTECH's iStation Master Controller integrates with NCR | Aloha Kitchen Point of Sale/Kitchen Display to alert/notify guests when their food is ready at the counter. Guests have the option to be alerted via pager or cell phone when their order is entered into the POS. iStation manages the data, and based on the digits entered into the POS, alerts are sent to a pager or cell phone. 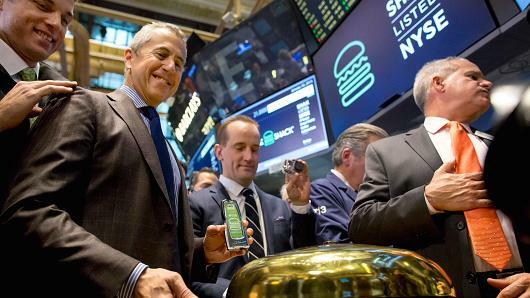 Danny Meyer with our CEO Randy Garutti holding a JTECH guest pager at the start of the stock trade January 30, 2015. They used their original GuestCall Commpass pagers to help promote that historic moment. 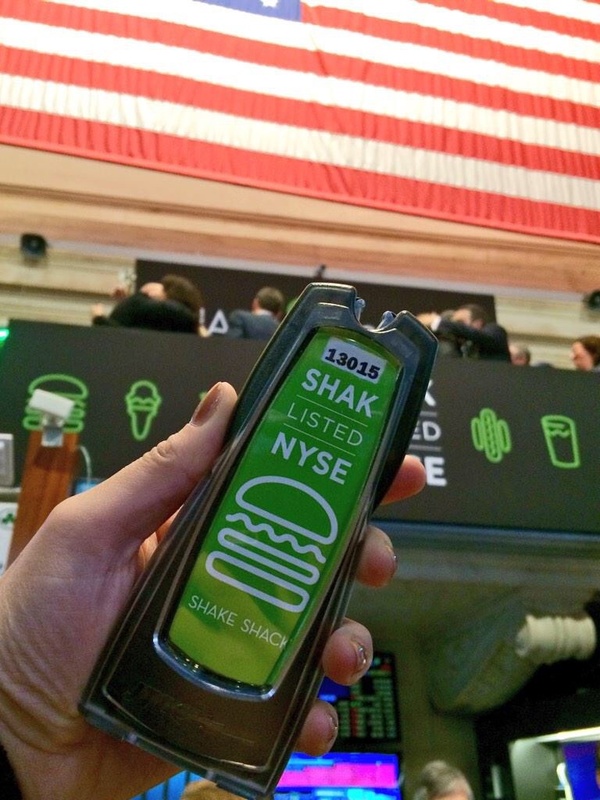 Shake Shack shows off their original custom label GuestCall® Commpass pager (Cerca 2007) at NYSE yesterday for the Shake Shack IPO. 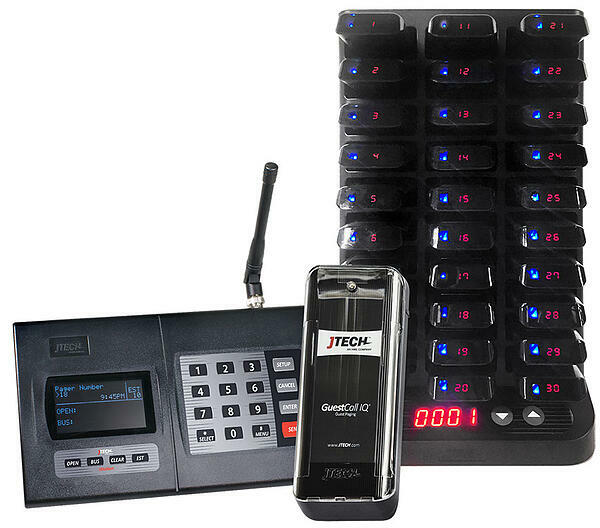 Today, they use JTECH's GuestCall® IQ. 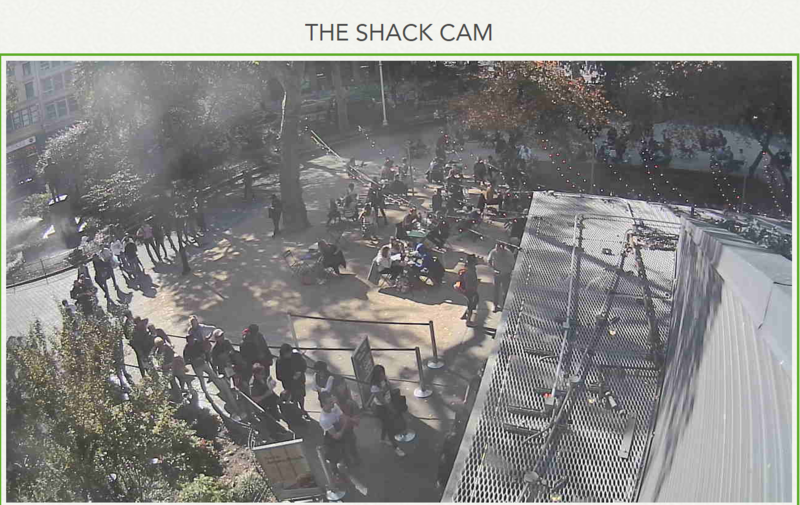 Since 2007, Shake Shack has changed their pagers' look three times. In fact, their evolution of JTECH pagers is displayed on their Shake Shack history wall. Shake Shack now has expanded to over 120 locations in the US and growing. JTECH is present in all US locations outside of Stadiums including airports.